Pressure ulcers are a growing concern for many assistive living communities across the nation and the issue is hitting home for many in Bowling Green. The Bowling Green bedsore injury attorneys of Nursing Home Law Center LLC have noticed that nursing patients are at a disadvantage in the area due to the prevalence of poorly related facilities in comparison to their higher quality counterparts. This information has made us more vigilant in our mission to alter the mindset of nursing home administrators by making sure that they are held to account for every case of neglect occurring under their watch. The city of Bowling Green is a rapidly expanding community in southern Kentucky. Its population has ballooned from 59,000 to over 63,500 in the last five years and it is home to thousands of senior citizens. The elderly population makes up 10.7% of the populace while many residents over the age of 50 prepare to enter their retirements. Senior services and assistance programs are in great demand and many of the people who need them are not receiving the help they truly need. For those wishing to remain active and mentally sharp, the Community Action Committee of Southern Kentucky operates nursing centers across a ten county area which includes Warren County. Members are able to enjoy hot meals with their peers, take part in recreational events, receive transportation assistance to their medical appointments and the grocery store and take advantage of free health screenings. For more information, you may visit http://www.casoky.org/seniors. When reviewing Medicare data, there is a grim outlook regarding the state of Bowling Green’s nursing centers. Of the 25 homes serving the area, Medicare only assigned five star ratings to five, while ten were recipients of one star grades. This makes it twice as likely that you will find a facility from the bottom of the barrel as at the top. When facing this proposition, many people delay placing their loved ones into assisted living communities, where they can receive the care and attention they desperately need. Our Bowling Green pressure sore lawyers refer many people to the Medicare nursing home compare tool so that they can be more confident about the nursing home they select and be aware of the problems and negative history of the facilities they need to avoid. For example, this tool reveals the unsavory fact that the Hopkins Center was fined over $146,000 in the last three years due to negligent care. This is vital information to have available when conducting your search and you can use the tool by visiting https://www.medicare.gov/nursinghomecompare. The answer is just as simple. 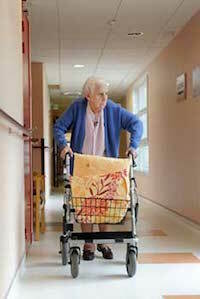 Overworked nurses and caregivers are simply unable to make the rounds and serve every patient unless corners are cut. Patients requiring routine repositioning every several hours may receive it less often that is required or not at all. It often takes the hospitalization of a patient for nursing staff to even notice that there is a problem. Nursing Home Law Center LLC seeks to provide the voice that many nursing neglect victims are denied so that they no longer need to suffer in silence. If your loved one has been injured due to the advancement of pressure ulcers, our Bowling Green bedsore injury lawyers are ready to take legal action on your behalf in order to ensure the wrongs are righted. Contact us today to arrange a free case review so that we can review your legal options together. Should you have questions about Kentucky law related to pressure sores, view our page here.